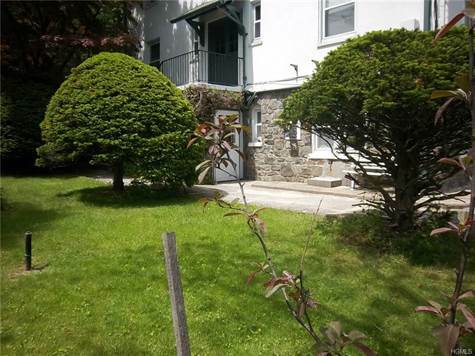 Pocantico Hills Schools & Recreation included - Apartment Rental - bright & airy, 2 Bedroom, 1 full Bath, 2nd floor unit on beautiful grounds. Over sized Living Room. Large Eat-in Kitchen. Beautiful hardwood floors throughout. High ceilings. Lots of outside lawn space (shared). Common laundry in building. Large parking lot for tenants & guests in front of building. Great location. Free access to Pocantico Hills Olympic size pool, baby pool, ball fields, playgrounds, picnic areas, Rockefeller State Park walking trails, and more. Pocantico Hills Summer Camp for residents' kids. Close to all. Heat & hot water included. Don't miss out on this one! 1st month rent, 1 month security deposit & 1 month brokers fee due with signing of lease, credit report & full application required, parking, garbage removal, landscaping, heat & hot water included in rent, all other utilities are paid by tenant, no smoking, no pets, no exceptions!